Here you will find my publishing announcements, news of promotions and publicity events, also updates about my current writing projects. I write a blog, there's a page with links to online stores selling my books, plus downloadable content you won't find anywhere else. If you enjoy exploring this site, please leave a comment and come back soon – I'll be updating its content regularly. Also, if you'd like me critique your stories, please click this link. To celebrate reading my new SF story My iBed and Me at tomorrow's Virtual Futures event on "Boundless Bodies" (tickets are still available), I'll be available afterwards to sign paperback copies of my two SF collections Moondust Memories and Sons of the Earth & Other Stories that are purchased there. If you can't attend but would like to read the collections, I'm heavily discounting the ebook editions until Sunday 14 April. The Kindle editions of these collections at Amazon.com (MM and SotE), Amazon.co.uk (MM and SotE) will be reduced to $0.99/£0.99 shortly. For €0.99 offers please go to this page Amazon.(EU). Here's a fun picture of me getting all animated while reading my story On This Day during the recent Virtual Futures Near-Future Fictions event on Autonomous Agents. My thanks go to Jacqueline Hammond, who has kindly given me permission to use her photograph. Smashing Sale for World Book Day! Smashwords is holding its first Read an Ebook Week Sale, which includes World Book Day. To mark this event and Smashword's sale, I've discounted my two collections (Moondust Memories and Sons of the Earth & Other Stories) by 50%, also two of my shorter ebooks (Reeves Indeed! and Touching Distance) are free to download. These offers end on 9 March. You can find the purchase/download links here. I'm very pleased to announce that my SF story One Is One has been translated into Estonian and reprinted in Reaktor. That's my eighth story to be translated and my fourth to appear there. The translator was Mari Arumäe, to whom my particular thanks go. One Is One was originally published in Cat's Breakfast: A Kurt Vonnegut Tribute (Third Flatiron). 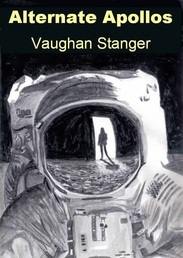 I'm delighted to announce that Little Blue Marble will be reprinting my SF story Good to Go. As its name suggests, Little Blue Marble publishes fiction that addresses the theme of climate change, a subject of overriding significance to me and soon, I think, to us all. Good to Go was originally published in Electric Athenaeum last year. The first Virtual Futures Near-Future Fictions anthology is now available as an ebook to pre-order from Amazon. I understand that a paperback edition will follow shortly. This anthology includes a reprint of my story Bee Futures, which was read (not by me!) at the first of the 2017 events held in London. The Kickstarter campaign for the Itty Bitty Writing Space anthology (which will include a reprint of my SF story, Bee Futures) is now in its final phase. With less than 48 hours to go, it's pushing hard to build as big a pot as possible to pay the production team and contributors. If you'd like to back this anthology there are still some fantastic rewards available. STOP PRESS: Last minute rewards for backers incude a bundle of 11 free ebooks from anthology authors, including Reeves Indeed! from me. Click here for details. 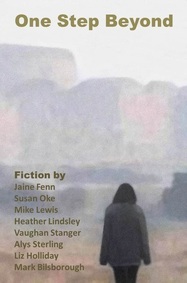 Shacklebound Books has published its Sins and Other Worlds anthology, initially as an ebook, although it will soon be available as a PoD paperback as well. Editor/publisher Eric Fomley has assembled an extraordinary line-up for this anthology. It's the first time I've ever rubbed shoulders with Robert Silverberg--one of my favourite writers--in a table of contents! My contribution, The Eye Patch Protocol, was originally published in End of an Aeon (Fairwood Press, 2011). The Kickstarter campaign for the Itty Bitty Writing Space anthology (which will include a reprint of my SF story, Bee Futures) continues to go from strength to strength ($6000 promised so far). Although the library donation option is no longer available, new rewards and bonuses are being added regularly. Today, I heard that every backer ($1 and up) will receive an e-copy of Flash Fiction Aficionado magazine in addition to the rewards they signed up for. The Kickstarter will continue to run until 22 February. Click here for details. I'm pleased to announce that I have received an acceptance from Jason Brick for a reprint of my SF story Bee Futures, which was originally published in Nature Futures (2013). It will appear in his Itty Bitty Writing Space anthology, assuming the planned Kickstarter campaign is successful. 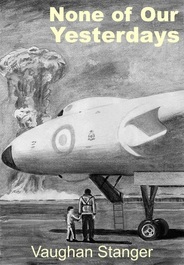 I have two readings lined up as part of a season of Near-Future Fictions events organised by Virtual Futures. These events will be held in London. 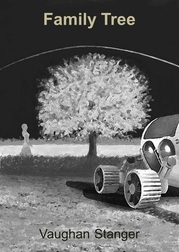 I'll be reading my unpublished story On This Day at the Autonomous Agents event on 12 March. I am also co-presenting this evening of readings with Stephen Oram. I'll be reading my unpublished story My iBed and Me at the Boundless Bodies event on 9 April. A nice way to end the year: Estonian webzine Reaktor has translated and published my SF story Invisible Touch. This is my third story to appear there. My particular thanks go to translator Mari Arumäe. Invisible Touch originally appeared in Daily Science Fiction (2015). The sale ends at midnight on New Year's Eve. Seasonal greetings to you all and wishing a "Merry Christmas" to everyone who celebrates it. My contributor's copy of Stacy Danielle Katczinsky's anthology of SF stories, She Blended Me With Science, has arrived. It's a handsome-looking paperback with a striking cover designed by Pablo Vercelli and good print quality inside. The one customer review of this anthology I've seen so far states that all the stories are "well-crafted and brilliantly written tales, and some of them are mind-blowing". That's always pleasing for an author to hear! This is a reminder that writers now have less than two weeks left in which to submit flash-length pieces for next year's series of Near-Future Fictions events organised by Virtual Futures. The deadline is 2 December. For details of the submission call either click here to read them on (public) Facebook or download the call PDF from here. New Orbit magazine has reprinted my SF story Slices of Life in its October 2018 issue. This story originally appeared in 3SF magazine. Stacy Danielle Katczinsky has edited an impressive-looking paperpack anthology of SF stories, She Blended Me With Science, which includes a reprint of my story, Family Tree. Flatwater Press publishes anthologies in order to raise money to promote and support the work of Nebraska authors.